Good luck trying to outrun this. The next time you’re in Tochigi Prefecture in Japan, be sure not to go above the speed limit, or do anything else stupid while driving. Otherwise, this Nissan GT-R might catch you and chances are you won’t be driving something that can outrun it. Not many cars can. 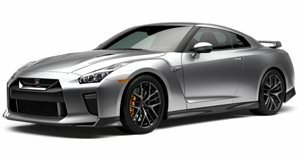 Nissan has just announced that a resident of Tochigi Prefecture has donated this 565 hp GT-R to the local police department. Not only did the police chief happily accept the donation, but also arranged a ceremony to celebrate. It doesn’t appear any structural or mechanical modifications have been done, but we really don’t think they’re necessary. However, this Nissan GT-R has been given the required police identification with a new black and white body paint job, red blinking lights on top, and LED strobe lights in the front bumper. It’s clearly a copy car, only this one has 565 hp and goes from 0-60 mph in just 2.7 seconds or so and a top speed of nearly 200 mph. We don’t know whether or not the GT-R will enter active police duty as a regular patrol car. It could also serve as a community outreach vehicle of sorts. Who knows. Details about the man you generously donated the GT-R weren’t provided, but clearly he’s a wealthy guy who felt his local police department . Mission accomplished.